Spring brings with it the hope of success for every baseball team; hope also springs eternal for those players coming off poor performances from the previous season. At virtually every Spring Training site, there are players hoping to resurrect their careers. Some of those players are coming back from injuries, some are trying to convince their teams that they can still play, some are coming off the Sophomore Jinx, and some are coming out of retirement. 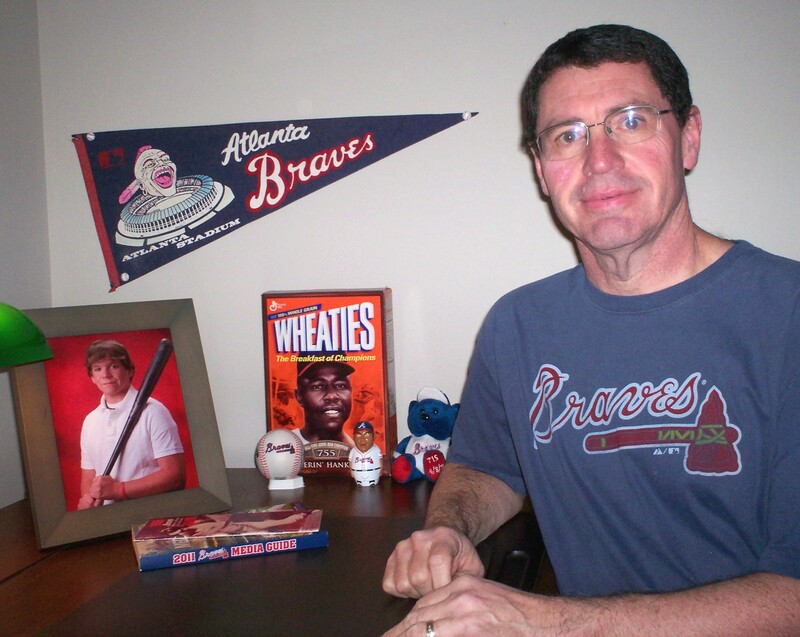 One of the most remarkable comebacks I remember was by Atlanta Braves outfielder Rico Carty. 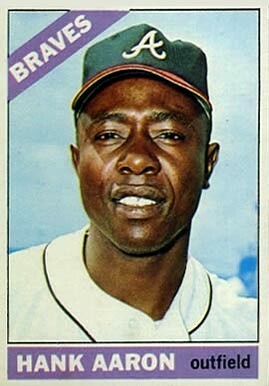 Doctors discovered that Carty had tuberculosis during Spring Training in 1968, causing him to miss the entire season. 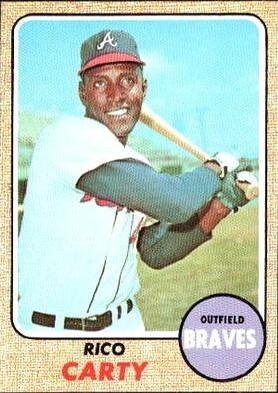 Carty was back with the Braves in 1969 and he hit .340 to help lead Atlanta to the first-ever National League Western Division crown. I am hoping for big comebacks from at least three players this year. One has been around a while, one got sidetracked just as his career was taking off, and one has only two years under his belt. Adam Dunn, the 6’ 6”, left-handed slugger of the Chicago White Sox, had a horrible season last year. In 122 games in his first season on the South Side, Dunn hit 11 home runs, drove in 42 runs, and batted just .159; his on-base percentage was just .292. The only offensive stat in which Dunn came close to matching his career average was strikeouts; he had 177. From 2001-2010, Dunn was one of the most feared hitters in the National League. In 66 games as a rookie with the Cincinnati Reds in 2001, he hit 19 home runs. In his third full season he hit 46 homers, drove in 102 runs, and hit .266. He struck out 195 times that year, but he also had 108 walks and an on-base percentage of .388. He hit 40 home runs every year from 2005-2008. After a stint with the Arizona Diamondbacks in the last half of 2008, Dunn joined the Washington Nationals. He hit 38 homers in each of his seasons in D.C. and drove in 105 and 103 runs respectively. After 10 years in the big leagues, he had five, 40-homer seasons, six 100-RBI seasons, 354 career home runs, and 880 career runs batted in. Dunn signed a four-year, $56 million contract with the White Sox prior to last season. He made $12 million last year, will make $14 million this year, and $15 million in each of the next two seasons. The White Sox are hoping Dunn returns to form this year. He is only 31 years old and he is healthy, so it is reasonable to expect that he will. Nate McLouth is back where he started. The left-handed hitting outfielder signed with the Pittsburgh Pirates after spending the last two and a half seasons with the Braves. He was an All-Star in 2008 with the Bucs and he finished the season with 26 home runs, 94 RBIs, and a .276 batting average. He also led the league in doubles with 46, stole 23 bases while being caught stealing only three times, and won a Gold Glove Award. The Pirates traded McLouth to Atlanta in 2009 and he finished the season with decent numbers: 20 homers, 70 RBIs, and a .256 average; but then the roof caved in on him. McLouth was hitting .180 with three home runs and 14 RBIs on June 9 when he collided with right fielder Jason Heyward while chasing a flyball in the gap. McLouth was out of the lineup until July 21. He had only one hit in his first 15 at-bats before the Braves sent him to the minors in hopes that he could rehab his way back. McLouth hit .234 with six homers and 18 RBIs with the AAA Gwinnett Braves before returning to Atlanta on August 31. After going 2-10 in his first five games back, he hit .276 the rest of the way with three home runs and 10 RBIs; he finished the season at .190 with six homers and 24 RBIs. It was a wasted season, but he at least had finished with enough of a flourish for the Braves to hope he could return to form in 2011. But McLouth never got into a groove last season and battled what was being called an oblique injury. He played in only 81 games (none after July 28) and finished the season at .228 with four home runs and 16 RBIs. He eventually had surgery to repair a sports hernia. It is hard to say why McLouth got off to such a slow start in 2010, but it is apparent that he was never the same after the collision with Heyward. McLouth is only 30 years old, he’s back with his original team, and he is healthy. He should be able to bounce back. Speaking of Jason Heyward, he burst onto the big-league scene in a big way when he hit a tape-measure home run in his first major league at-bat on Opening Day 2010. The 6’ 5”, lefty-hitting outfielder finished the year with 18 homers, 72 RBIs, and a .277 batting average. He also walked 91 times, an impressive total for a 20-year-old, and had an on-base percentage of .393. He finished second to Buster Posey of the San Francisco Giants in the balloting for National League Rookie of the Year. But injuries and the Sophomore Jinx ruined Heyward’s second year with the Braves. He never seemed to get his swing in sync, he dropped 50 points off his average, his homer total dropped by 50%, and he drove in only 42 runs. Heyward’s wrist should be completely healed and he has made some adjustments to his swing; gone is the bat waggling he used to do while waiting on the pitch. This past Thursday he hit a monster grandslam off a left-handed pitcher so maybe he is getting the hang of his new swing. With all the early fanfare in his career, it is easy to forget that Heyward is still just 22 years old. He should be able to recover from last season. It may not be Dunn, McLouth, or Heyward but in some Spring Training site somewhere there is a player who is already on his way to a big comeback. Because like the movie said, it happens every spring. ← Why Would Anyone Follow Baseball? Hey! This post couldn’t be written any better! Reading this post reminds me of my old room mate! He always kept talking about this. I will forward this page to him. Pretty sure he will have a good read. Many thanks for sharing! Hello:I signed my son up for Fall Ball (Challengers) when do we hear from coahecs and what is the schedule? Also, as this is our first time, where do we get uniforms, etc? What kind of shoes are required? Thank you. Hope your son does well in Fall Ball, but I can’t help you out on any of your question since this is just a blog about baseball. Take care.